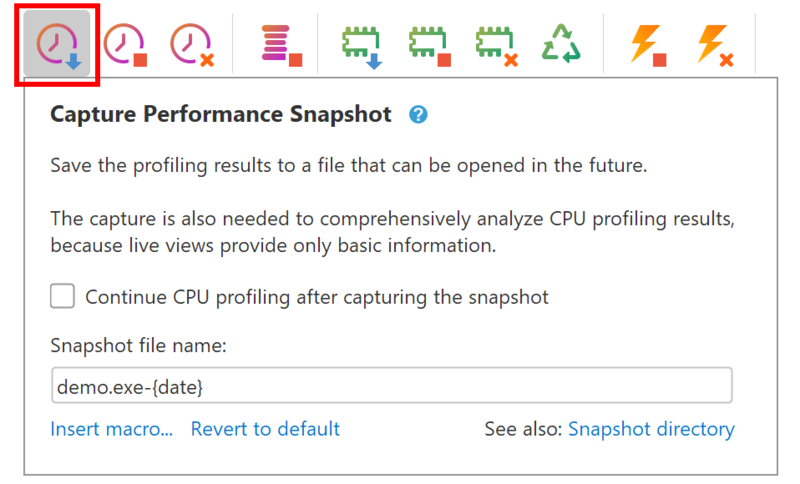 YourKit .NET Profiler Help - Recording CPU information. Sampling and tracing. You can choose either of two available measurement modes: sampling or tracing. When tracing, the profiler watches method invocations for recording thread CPU time spent inside each profiled method. Both times and invocation counts are available.